A preliminary timeline for the 2nd & Vignes development estimates completion in early 2019, with construction starting in the third quarter of 2017. 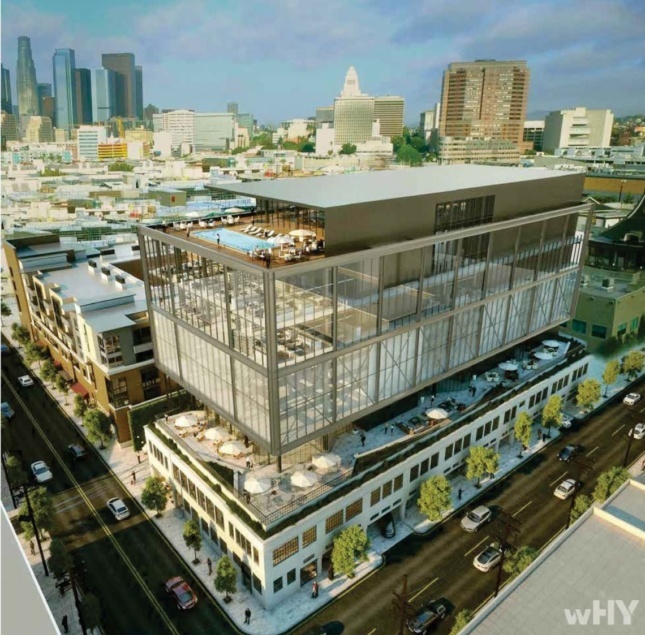 Los Angeles– and New York City–based wHY has released a new batch of renderings for the firm’s ambitious 2nd & Vignes development in the Los Angeles Arts District. The new renderings come in advance of a Los Angeles City Planning Commission review meeting for the planned 190,165-square-foot mixed-use complex, which is seeking a General Plan Amendment, a Zone Change, a Height District Change, and Master Conditional Use approvals. The project aims to add a private membership club, ground floor retail, a gym, and new office space to the bustling neighborhood, which has recently seen a slew of high-profile proposals from international firms like Herzog and de Meuron and Bjarke Ingels Group. 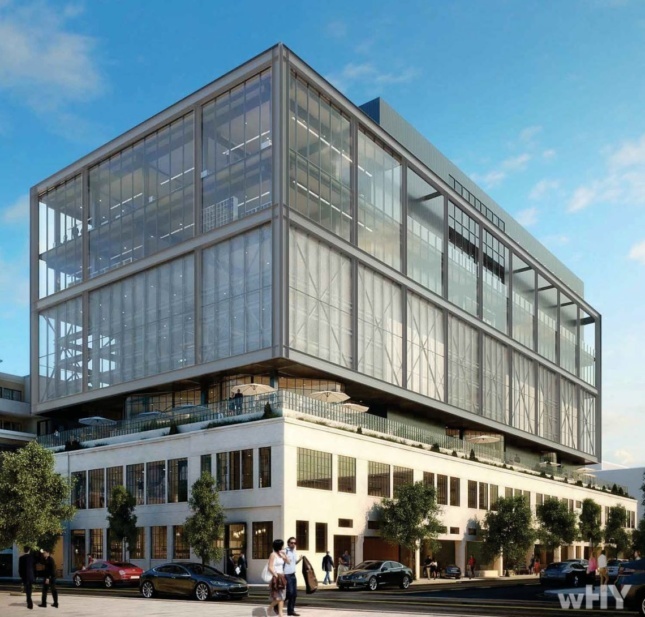 With the wHY project, the architects will aim to adaptively reuse and greatly expand an existing two-story warehouse structure by topping the existing building with a new, glass-clad structure. 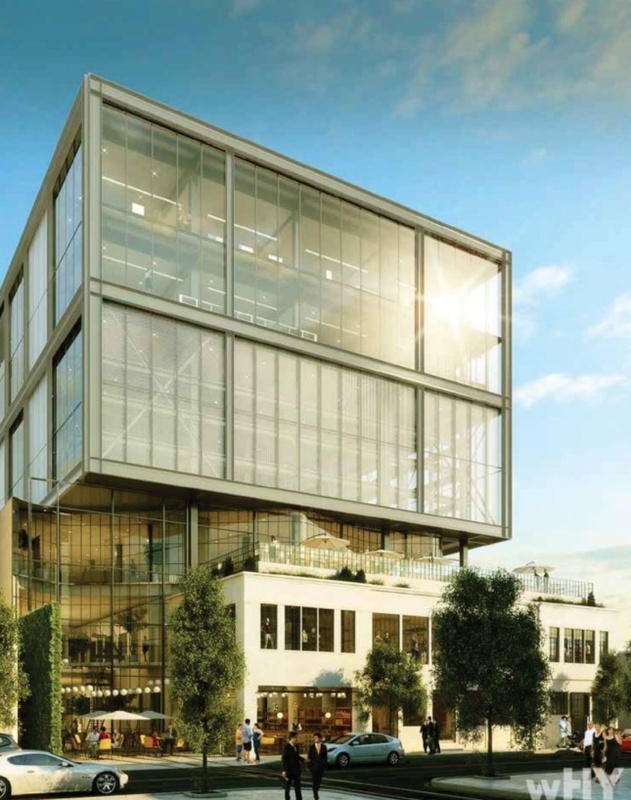 The six-story addition—articulated via a structural steel skeleton and clad in curtain wall glazing—is set back from the existing building’s primary facades, creating an L-shaped rooftop terrace overlooking the street. Inside, the structure will contain an automated 241-stall parking garage sandwiched between the mix of programs. Retail uses will be located on the lowest floors and on the terrace level, while the remaining portion of the ground floor will be dedicated to arrival and lobby functions. According to the plans, a gym will share the terrace level with the storefronts. A set of offices will be located above the automated parking component, with the whole complex topped by the private membership club. According to the new renderings, that rooftop level will contain a terrace component and rooftop swimming pool. The new renderings showcase clearer and more articulate views of the project’s varied components, especially the new portion of the building. The new building mass is shown with exaggerated proportions, including structural detailing, cross-bracing elements, and exposed structural steel components. 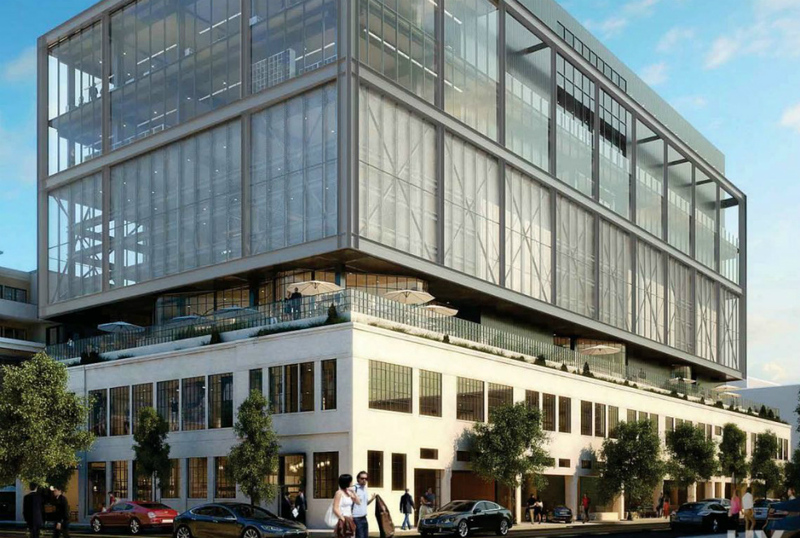 The renderings also indicate that the new, boxy tower portion of the building connects to the existing via a wavy curtain wall-clad wedge. A preliminary timeline for the project estimates completion of the project in early 2019, with construction expected to start in the third quarter of 2017.